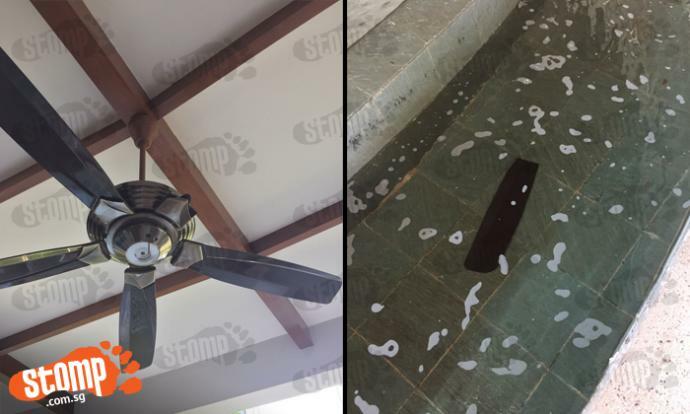 i thought of getting some ceiling fans from taobao ..
but my wife had this fear of them dropping down on us while we sleep. though i did try to console her, saying you can’t be decapitated by fans, she was quite adamant about it. so we are probably going to get some normal fanco ones. they explained that they would send to 5 select IDs and the IDs would contact us. 2 of them took like 2 – 3 weeks to get back. not sure if it would have been better trying to contact them directly. Actually hor, after buying several kinds of led from tiongland, I realised that a lot of them kaput after a few months. Like many said, it’s the driver. Then I read up a bit and found that the led itself matters too. So I will choose the tiong seller that states it’s using 2835 SMD. Runs cooler and so far, no problems. My personal experience is don’t get a designer to do. Designers always give you the worst grade materials, and it’s quite impossible to get 100% satisfaction in what they promised. We only use designers for commercial properties if really no choice, our office used to be done by Kingsmen but only do basic things. Always try to do ala carte. Don’t do build in cupboards, just buy standalone closets, drawers, etc. Normally the contractor will charge you 3-4x the cost, is their most money making category. Always remember, whatever you pay to do build in, will have to be paid to hack it out in future. Not only that, it also means you must pay for a repaint job and probably a flooring job, which cost you a bomb. There are many reasons why you will want to hack in future, like damaged by insect/water, wires or pipes oncealed inside got problem, etc. There are many designers or imitation furniture in the market, get solid wood ones. Also against custom designs, most are poor quality stuffs using plywood, fibreboards, etc which can’t last and release a lot of VOC. If you don’t know what’s VOC, it’s volatile organic compound, stuffs that cause cancer, mutagens, allegents, bad for breathing, etc.. Seriously, go and study a little about processed wood and know how to pick solid wood. Don’t buy ikea furniture, they use mostly processed wood which release a lot of toxic. If you are at Alexandra Ikea anyway, go opposite to the Alexandra village area, there are shophouses selling old school rattan furniture, solid wood marble top tables. Prices are almost the same as Ikea, as well get that. Ikea kitchen furniture can consider for the extended warranty. Taobao has a lot of solid and recycled wood products, which can consider. Always communicate with the buyer that they are real solid pieces and not laminates or combined woodblocks. Can custom make too, search under ” 木板定制 “. Suggest get the Elm. Elm in China is imo better than the ones from the West. You can ask them to coat, if it’s using oil, should be pretty green. If you don’t trust them, go google and buy some coating oil depending on your need and diy. One trick to getting affordable customized table with cheap solid wood, at your size is buy 木板(wooden planks) from Taobao, then buy from Ikea the legs and diy. Singapore carpenters are robbers, easily 4 digit for small tables. You can also use the planks to do shelves and such. PRC are more mindful about VOC than Sinkies, so don’t be surprise about getting greener, better wood there. Some of the furniture there are really good looking and good quality, really don’t be surprised. http://www.fortytwo.sg also not that bad for some pieces but i prefer to get from those small vendors at tan boon liat building, they carry some designers pieces and prices are not that expensive. Floor keep to stone tiles like granite and marbles. We had one property which was cream colour tiles with black gout, not bad looking, cheap and durable. If want insulated feel, get those green flooring. Laminate, carpet, vinyl all release a certain degree of VOC. NEVER conceal your pipes, particularly air con pipes. Just keep in exposed trunkings and paint over. Because if need to replace in future, if it’s concealed, you got to hack whatever is blocking. Tell the contractor to lay in a way, it’s easy to replace in future and less chance of choke, bit more expensive never mind, it will pay off one day. They hear already also happy. Draw the layout of your pipes and store it somewhere and let your family know incase want to do a renovation in future. For aircon, never put on top of any appliances in case it drips, a good place to put is actually above your door. Don’t have the air con facing you on your bed directly, the dry cold air can make cough and certain conditions a lot more worse. That’s because the air blown out is much dryer, so you won’t it directly into your mouth. Consider ceiling fans, not exp, cheap to run, healthier air and effective. Brands like Relite, Mitsubishi, Fanco, Amasco are not bad. Wall/stand fans, from direct projection, heard can cause rheumatism. Ceiling fans work by blowing the colder air near the floor up to circulate around the room. Get your fibre points done, if you don’t know how to do, go google “bay trading fibre”, cheap and good, they used to troubleshoot for MR/SH/M1 tougher case, guaranteed quality results. Most Affordable for landed so far. Don’t bother with homeplugs, repeaters, etc. They are crap. I think, this is very important since we are relying on the internet more and more every day. It’s not expensive but a big useful upgrade. Get good mattress and good chairs because you will be on them for most of your time, so don’t save money on that. Will affect long term health. For the chair, get Herman Miller’s Aeron or Embody, most recommended by Orthopedics, in fact, designed by them. I’ve severe slipped disc and asked alot of snr orthos locally and overseas, my back is an ergo detector because it will hurt if it’s crap. Good mattress and leather sofa can consider importing from Europe. Can save half. Avoid latex foam because they release VOC too. Sealy mattress and Natuzzi sofas are good. For door knobs, try to use brass for its anti-microbial properties. It may tarnish, but won’t rust. Taps, maybe brass too, but must be very high quality brass that don’t leech lead. Brass/copper as they oxidise and corrode, their anti-microbial properties actually increase, meaning they get better as they age. Stainless steel has many grades, cheap ones, easily rust. Many pass off 201/202 as 304. You can’t check easily without equipment. Invest in good curtains that can block out light if you want your room cool all day. It works, can minus 2 degrees easily. Imagine how much power/$ you save. Actually, LED lighting can get from Taobao, quite cheap. LED don’t emit much heat and longer lasting. Should always consider them first. Don’t buy built in appliances if possible, especially those wall mount, buy standalone. Gas line is worth a consideration, can link gas to water heater, to your stove, to dryer, etc. Can save a chunk of money. For washing machines, if you have elderlies at home, or you are getting old. Get top load. Elderlies can’t squat and stand so have difficulties using front loads. Top loads are generally more durable anyway. If don’t want to use dryer, can consider those retractable ceiling clothesline. Try to get something not electronic ones, especially those with UV light that are bad for human. Those manual hand pulley system to pull up and down looks good. Get a good exhaust hood and remember to maintain it, because fumes from Asian cooking styles release a lot of carcinogens. If you have a storeroom with important expensive stuffs, especially leather goods, consider investing in a dehumidifier. Keep things from moulding, not that expensive. If possible install a copper drain pipe from the storeroom to your toilet or the nearest drain, so your dehumidifer can be drained continuously and you won’t have to worry about the water full, they don’t use a lot of power and are not exp. Don’t put wall paper; wall paper nowadays can only last about 10-15 years. Also, release VOC and many tend to discolour. So as above, so many agents that can release VOC. Here a bit, there a bit, add together quite a bit.. Don’t turn your living space into a toxic chamber. For a new house, remember to open the windows and air it, don’t close and on air con every day. My family used to own rolls of shophouses, dozens of condo, and commercial pty but all sold in 2013. TBH, reno can be very cheap and that don’t mean it looks cheap. Always remember, if your house is messy, no amount of money you spend on designers can make it look atas. So we’ll be getting our new place soon and we started to look for IDs. Emailed a few and most of them took a week or two to get back. So that became our baseline for shortlisting IDs. If they don’t reply within a few days, they were out. As always, the customary “HELLO WORLD” ……….